Lego have been making plastic building blocks that fire children’s imaginations for generations. These blocks come in sets, but the sets can be combined to build bigger and better creations, limited only by your child’s imagination. These Christmas Lego Sets not only allow you to add a variety of blocks and features to your child’s overall building fun, but they allow your child to get into the spirit of Christmas in a way that is fun for them and the entire family. If you have a child who loves Lego, or simply loves Christmas, this cute little Lego Christmas Tree Set will make a great stocking stuffer that your child is sure to enjoy. This cute little Lego Christmas Tree Set will make for a great stocking stuffer and is a great way to add additional pieces to your child’s Lego set, without costing a lot. Once put together, this mini tree will make a great Christmas decoration for your child’s room or Lego city, or it can be turned into a cute little Christmas tree ornament. People who have actually purchased this Lego Christmas tree find this set both cute and charming, and while easy to put together, it is also quite fun. Customers state that it makes a great stocking stuffer for children, and even for adults who are real Lego fans. What would Christmas be without Santa and his reindeer drawn sleigh? Now your child can have the fun of building Santa’s sleigh, complete with a reindeer and gifts, all ready to deliver in this delightful mini Lego Christmas Santa Set. While this set is designed for children aged 6 and up, it does have many incredibly small blocks, so younger children may need to be supervised or assisted when completing this mini Santa kit. 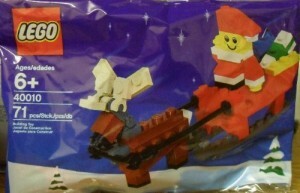 However, any child who loves Lego or loves Christmas will be thrilled with receiving this Santa and his sleigh in their Christmas stocking, and will want to put it together right away. Reviews for this cute Lego holiday seasonal Christmas Santa are great with those customers who purchased this kit finding that it made for a great stocking stuffer, Christmas decoration, and tree decoration. Children who received this kit loved putting it together and having their very own Christmas decoration, and there were even adults who stated that they collect these small sets to add to their own Christmas décor. What small child doesn’t love trains, and nothing could be more appropriate for setting the Christmas spirit than this cute little Lego Christmas Train that actually rolls. This brightly colored red and green train kit by Lego really brings the colors of Christmas alive and is the perfect stocking stuff for train lovers of any size. This Christmas Train kit will be a great addition to other Lego sets, as well as a great stand alone Christmas decoration or toy. Customers loved the Lego Christmas train and so did their children. Parents stated that even 6 year olds found this set easy to put together and it added to the holiday cheer. You do need to keep in mind however, that although this train really moves on its wheels, it does not fit the standard Lego train track. Many families ring in the Christmas season with beautiful Christmas villages that they display. These villages come in assorted shapes and sizes and depict different scenes from long ago holidays. Most kids find these Christmas villages infinitely fascinating, and now thanks to Lego, kids can create their own Christmas village scenes to admire and even play with. The Lego Creator Holiday Bakery actually incorporates 3 old fashioned Christmas scenes into one, and provides children with a creative way to make their own Christmas village come alive. There are 7 mini figurines including the baker, his wife, and kids skating, as well as ½ figure (just the legs) to place someone upside down in a snow bank! 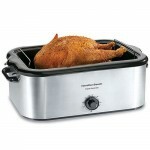 Includes one power function block that when pushed lights up the inside of the bakery. This Holiday bakery building set is a great fun project for the entire family. This building kit makes the perfect addition to other Lego sets while allowing time together for the entire family. This kit is great as a stand alone decoration or combined with other Lego holiday sets. Reviews for the Holiday bakery building set are exceptional. Customers state that this set makes a wonderful Christmas gift for those who love Lego, as well as a fun Christmas project for the entire family. Overall, this Lego Creator Holiday Bakery was a huge hit with both parents and children and made a great gift for family and friends. 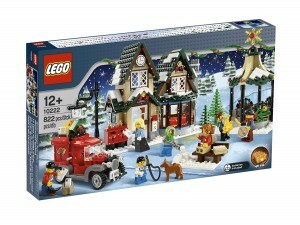 The Lego Creator Winter Village Post Office is another in the series of the Lego Christmas village sets. This cute little post office building set includes the post office itself, along with a gazebo, and several cute little mini figures to scatter about. 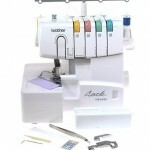 This set makes a fun addition to add to your Christmas décor. Reviews for the Lego Christmas Post Office building set are extremely good. Customers who purchased this building set found it made a great gift for any holiday or Lego fan. Lego sets make great stocking stuffers and gifts, for any child (and some adults) on your shopping list, who love Lego and enjoy creating their own Christmas displays.